It’s been four years since I saw my Pulmonologist and I’ve had some ups and downs with my lungs and my coughing. I remember his words four years ago when he said, “you’ll always have this and it could get worse, but it probably won’t.” He told me to get a pneumonia shot every four years, to make sure I get a flu shot every year, and whenever I catch a cold, call him and he would call in a prescription for antibiotics. “What about the wheezing,” I asked? He said it will happen, and will be worse in the evening. He was right. “What about the coughing up blood,” I asked. He said that, too, will happen and as long as it’s not more than a teaspoon at a time and subsides in twelve hours, then it’s nothing to worry about. He was right, except every time it happens I can’t help but worry a little. “What about the exercise and the 5Ks and the triathlons,” I asked. He said, hey, that’s probably not a great idea but we’re not trying to get you into that extreme shape, but try some moderate swimming and fast-walking. If you swim or walk briskly for a half-hour a day, you’ll be in the top 10% of fit and in-shape people in the U.S. and healthy. And, he said, walking is a non-impact exercise and is actually much better for you knees and back and all that. I’m sure he’s right. But it sure makes me feel like I should be busting out an A.A.R.P. card and walking around the local mall. He ruled out asthma. He ruled out the night time coughing is from the bronchiectasis. He thinks it might be a post-nasal drop. He wants me to breathe into a meter three times daily and measure the strength of my breath and oxygen levels but he suspects they’ll be like it was today – perfect. He thinks my chest-pains is just from coughing and sleeping on my side – and is not my heart. Oh, yeah …he tested my heart. He wants me to take a mild Allegra at bedtime and really thinks that’s going to make a world of difference. So, that’s it. That’s the update for those of you who were wondering, hey, what’s up with Don’s lungs. Once again I’m being told not to worry, everything looks and sounds good, and that wheezing and coughing? Try some Allegra. 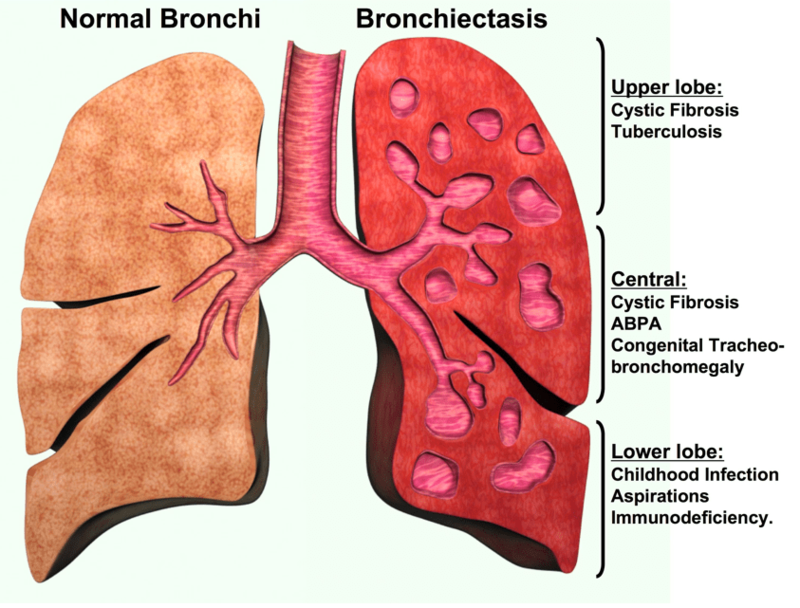 I kinda hope this is one of the last times I’ll ever have to Blog about my lungs. But stay tuned. I go back in 2 months to assess the Allegra experiment.